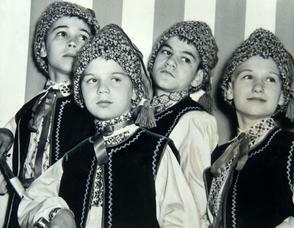 Four boys with knit hats, "Ukrainian Boys" in costume. Boys were from St. Basils Orphanage, 832 N. 7th Street. Names of boys listed on back of photograph.